This impact case study is linked to the International Security and Sustainability (ISS) research group and considers a variety of security-related themes in contemporary national and global politics. In particular, Dr Katerina Krulisova’s research is located within the broader feminist critical security studies field. Presently, Dr Krulisova is serving as an academic consultant for the Working Group on UN Women, Peace and Security Agenda (WGWPSA) headed by the Ministry of Foreign Affairs of the Czech Republic. This role entails participation at regular triannual meeting of the group, drafting policy papers, and advising other members of the WGWPSA (both governmental and nongovernmental organisations) on issues related to the agenda. 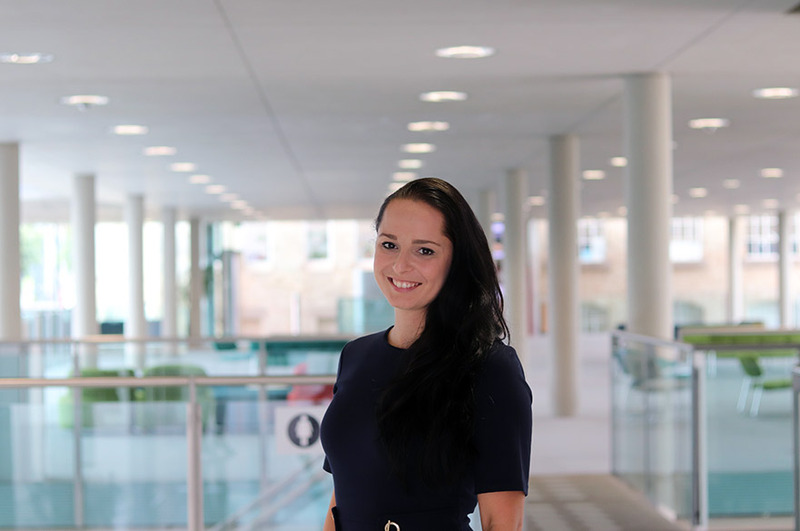 Dr Krulisova’s work focuses on the topic of gendered (in)security in global contexts, primarily the variety of roles women undertake during periods of unrest and armed conflicts, as well as the problem of sexualised violence in armed conflict and Responsibility to Protect (RtoP). This work has been presented at a number of international conferences and published in peer-reviewed journals. Dr Krulisova also prepares her monograph which is based on her PhD research into female protagonists of genocide and sexualised violence. The impact case study will continue to develop the existing research and extend collaboration with colleagues working on the topic of gender and security in Central and Eastern Europe. The impact case study focuses primarily on the process of preparation, implementation and revision of the National Action Plan (NAP) implementing the United Nations Security Council Resolution 1325 in the Czech Republic. Czech Republic is the only country in the region that has adopted NAP, and Slovak Republic is currently in the process of preparation of their NAP, with the Czech side advising on the process. The research conducted by Dr Krulisova in the past forms a basis of intersection between gender and security both theoretically and empirically and serves as an academic basis for discussions on improvement of the existing Czech NAP. The research conducted aims to impact the policy areas that deal with gendered security in the CEE region. It is intended that outputs will be made public and available for both academic and non-academic audiences. Kolmasova, S. and Krulisova, K. 2018. 'Responsibility to Protect and Sexual(ised) Violence: A Critical Feminist Analysis.' Forthcoming in Politics and Gender. Krulisova, K. 2016. 'The “Black Widow” Discourse and the case of Dagestan: Desperation, Irrationality and Vendetta.' CEJISS Vol. 10 ( 1), pp. 30-60. Krulisova, K. 2015. 'Sexual Violence in Armed Conflict: A Weapon of War?' in Tomas, J. and Eppe, N. (eds. ), Sexuality, Oppression and Human Rights, Interdisciplinary.net, available at: http://www.intertdisciplinary.net/criticalssues/wpcontent/uploads/2014/06/krulisova sexpaper.pdf.